The Tsitsikamma Section of the Garden Route National Park is adjacent to the 80km of rocky MPA coastline. The MPA is situated along the rocky Indian Ocean shoreline. The MPA is situated along the rocky Indian Ocean shoreline beneath 180m high cliffs where the rivers flow into the Indian Ocean through rocky ravines. 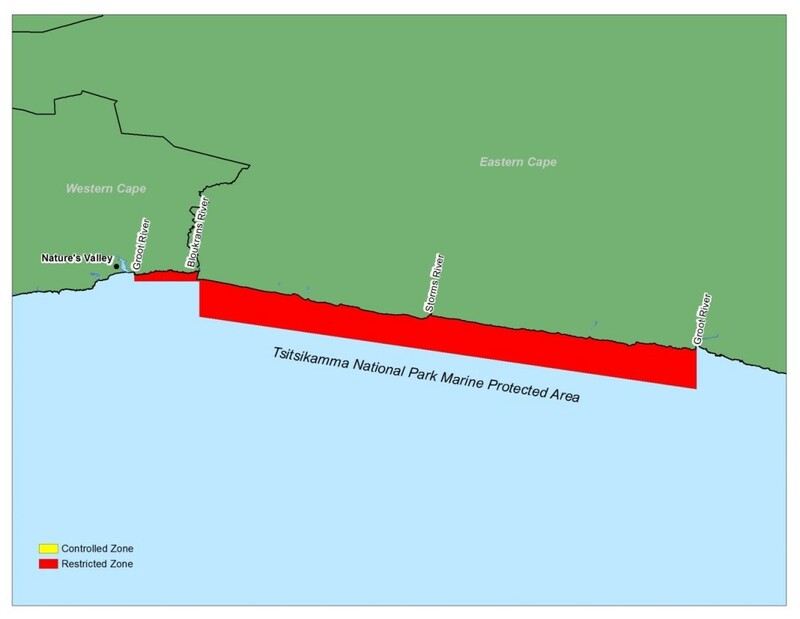 The Tsitsikamma Marine Protected Area protects a variety of inter-tidal marine life, marine habitats, and threatened as well as endangered fish species. It is one of the largest and oldest restricted MPA’s (no-take) in the world, conserving 11% of South Africa’s temperate south coast rocky shoreline. The temperate rocky shore provides a near pristine area for fisheries baseline research on endangered fish species. It was proclaimed in 1964 and became the first marine national park in South Africa. Many species of forest, fynbos and sea birds are present in this protected area, which has a history of marine and forest utilisation. The local communities relied upon these two ecosystems for their survival in one form or another. Marine bird species like cormorants, kelp gulls and African black oyster catchers are prominent along the coastline and pied- and giant kingfishers can be seen hunting fish in tidal pools or in the rivers that drain into the Indian Ocean. To restrict or prohibit activities that may have an adverse effect on species, ecosystems and ecological processes.